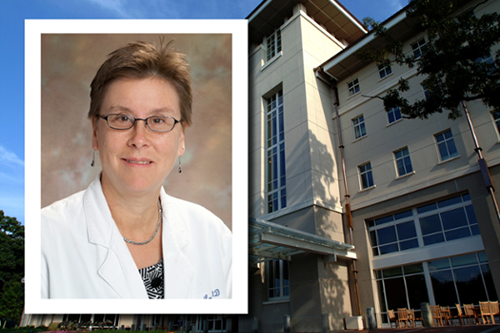 Amelia Langston, MD is the new medical director of the Winship Cancer Network. Winship Cancer Institute of Emory University announced today that Amelia (Amy) Langston, MD is the new medical director of the Winship Cancer Network. She will work with Vanessa Bramble, the network director, to build strategies and opportunities for community health care organizations in the region to collaborate with Winship. "The Winship Cancer Network will benefit greatly from Dr. Langston's depth of clinical oncology experience and knowledge of innovative research discoveries at Winship Cancer Institute, Georgia's National Cancer Institute-designated comprehensive cancer center," says Walter J. Curran, Jr., MD, executive director of Winship. Langston, professor and executive vice chair of the Department of Hematology and Medical Oncology and medical director of the Bone Marrow Transplant and Stem Cell Transplant Program, joined Emory in 1998. She specializes in hematopoietic stem cell transplantation and management of patients with hematologic malignancies. The Winship Cancer Network, launched in January 2016, allows partners around the state of Georgia and the Southeast region to collaborate with Winship and provides patients with access to innovative cancer research and treatment. Archbold Memorial Hospital in Thomasville was the inaugural affiliate followed by the Peyton Anderson Cancer Center at Navicent Health in Macon.